Wow.. 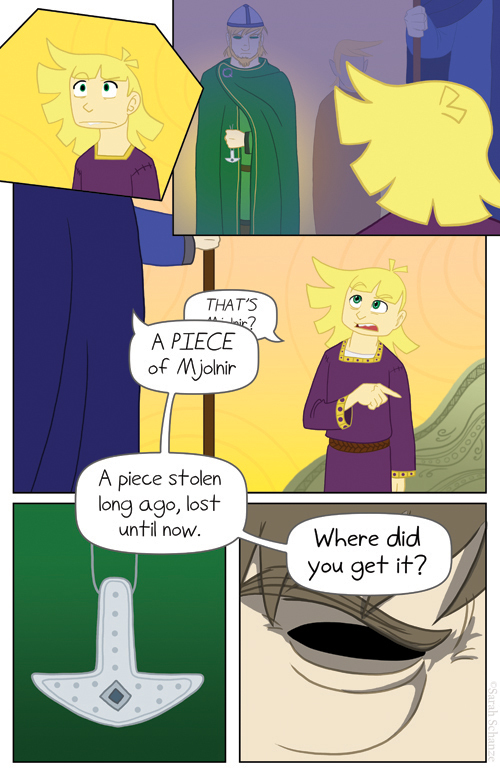 I really wish you had studied some norse mythology before making this webcomic. Children don’t go to Valhalla, they go to Hel. Only warriors that died in the battlefield were allowed. I don’t know if you stopped reading after this point, but Coal does go on to say he died in battle. And at 15, he’s not really considered a child anymore, at least by medieval standards. If he looks younger than that, then that’s just a result of the style and character design (also this art is almost three years old). OK I’ll correct myself — WHAT is Mjolnir? 😛 I’m guessing it’s a hammer, since people seem to be talking about hammers in the comments.